Leif J. F. Callioscott was a little-known Swedish child psychologist who grew up in Scotland but with an English mother and Swedish father. He was an experimental practice based academic whose theory of ‘Audible Transitional Objects’ places play and fantasy as crucial cornerstones in child development. At the same time, he was convinced that the fantastical, magical or “unreal” sonic elements that we are exposed to whilst young (disembodied voice, unidentifiable sounds, nonsense language) help us create a picture of reality as its polar opposite. Callioscott tested his theories through the creation of workshops that allowed adults and children to explore soundscapes that he created through layering sine waves in the octatonic scale to encourage experimentation in timbre, overtone-phasing and bitonal composition. As well as a collaging of physical objects hit, strummed or thrown around the room during these playful research sessions (one session in 1972 lasted nearly 12 hours). The aim of the project is to re-enact one of these workshops and make a video and sound recording of the ensuing noisescape. 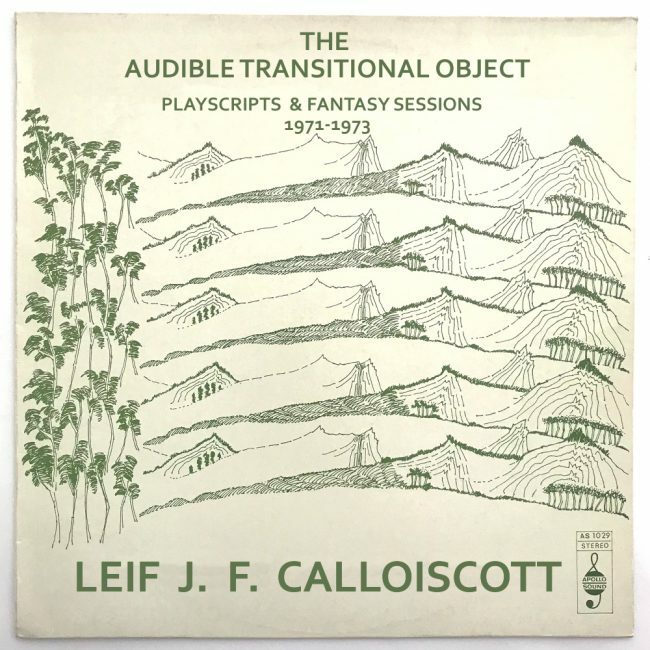 The recording will involve inviting selected artists, adults and their children to help testing out the ‘Audible Transitional Object’ Playscripts that Callioscott has written. After this recording has been made, the artists will invite the public to a screening of the recording and a short live version of one of his playscripts. Francis Patrick Brady and John B McKenna have been in talks with Callioscott (who currently lives in Småland) about him also attending this public event and playing some of his musical recordings from his research in the 70’s. This project is initiated by the visual artist, pedagogue and recent graduate from MKH Francis Patrick Brady and Malmö based musician and composer John B McKenna. The duo has enlisted the help of many friends’ children of different ages to re-enact the ATO workshops and bring Callioscott back into the public eye. This collaboration is a mixture between practice and research or, as Callioscott would have formulated it, reality and fantasy. More about Francis Patric Brady.